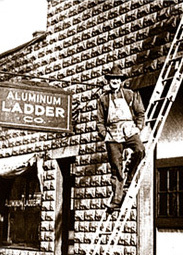 We began in 1930 when our founder, Samuel Carbis, designed the first aluminum fire ladder, revolutionizing fire departments around the world. Since that time we’ve remained exclusively dedicated to designing and building the equipment and structures that assure safe access and fall prevention for workers around the world. As a result, we are the global leader in customized bulk loading access equipment and turnkey systems for truck, rail, and marine applications across all industries. We are the only company in North America that designs and manufactures both access equipment and loading arms, ensuring they work together without interference. Today we are proud to include thousands of businesses and institutions on our customer list, including most Fortune 1000 manufacturing companies. We are routinely relied upon to conduct safety audits for our customers and asked to serve in a unique consulting role. Our 45+ employee engineering department calls on the industry’s largest library of proven access and loading products and systems to custom-engineer the most practical, reliable, economical and productive solution for you. We are also proud members of VPPPA and active on many industry standard-setting groups. This involvement is your assurance that we are always on top of best practices and all compliance requirements of OSHA, ANSI, MSHA, NFPA, ISFP, UBC, SBC, and others. Sam Carbis Solutions Group, LLC is the world leader in building customized bulk loading access equipment and structural steel components. Many of the systems considered standard in the bulk loading industry were developed by Carbis engineers for customers such as you! We are passionate about partnering with you to help keep your people safer and products flowing. 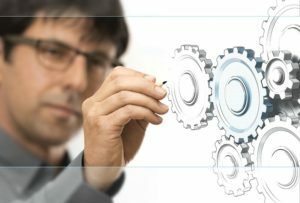 To meet your company’s exact needs, we coordinate with you and your peers to develop a customized solution. Sam Carbis Solutions Group, LLC is the industry leader in field support; engineering, sales, and service are all just a phone call away. Want to schedule a site visit to explore your options? No problem… a Carbis professional is available to assist you in determining the solution that is right for your situation. Sam Carbis Solutions Group, LLC has sales associates available when you need them. Have engineering questions about a job? Your sales associate will coordinate any project questions you may have with a member of our large, 45+ employee, engineering department who will be happy to answer your questions.